It's a rather mysterious beginning for the name of Tweedle Dee and Tweedle Dum. Most assume they started in Wonderland, as all amazing things either start or end up. But, they most likely originated in a poem about comparing two folks who were basically the same and, by the writer's account, weren't worth the time of debate. Poor Tweedles are assumed to be simple-minded and derogatorily so. 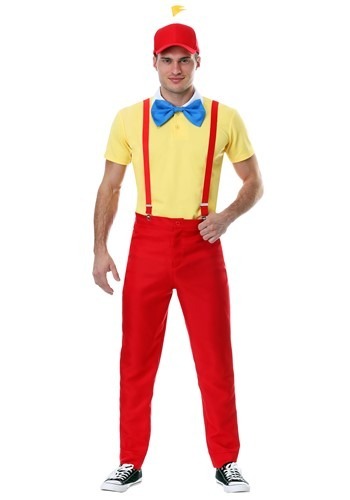 If you go it alone, you'll have to decide, but with a buddy, there's no reason to hide when you're in this exclusive Dapper Tweedle Costume. Our wondrous designers have spent many years meeting and greeting the folks through the looking glass to ensure that this look is as lasting as the book it was based on! This shirt is a pullover polo of bright yellow with a beautiful blue bow attached. 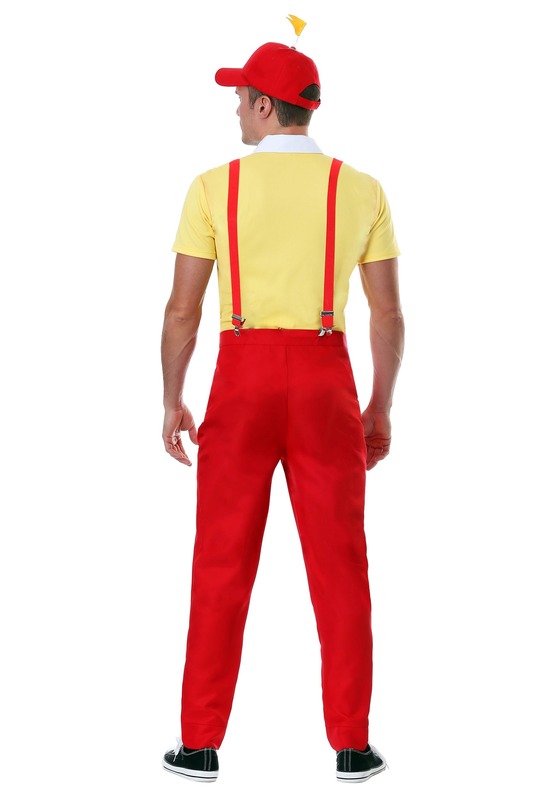 The pants are gleaming red, a match with the suspenders. Of course, the flagged hat is the real marker of a true Tweedle. The only thing you have to decide is if you're Dee or Dum... and who to partner up with for your twin! 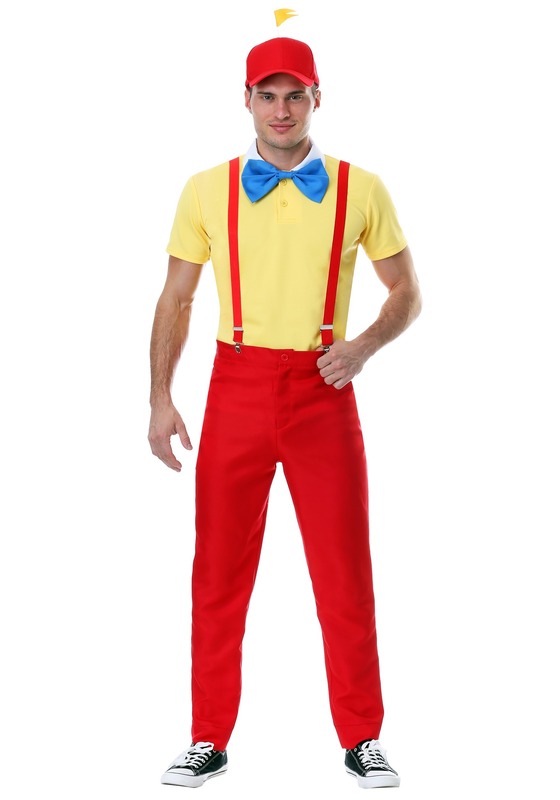 While folks are assuming that you're going to be a bit of a dullard, you can show off the dapper side of Dum and Dee when you show up in this exclusive Dapper Tweedle Costume. Fly your fun flag and team up with a buddy for some Wonderland fun!